It is time for another (extremely silly!) episode of WGTC Radio, the official podcast of We Got This Covered! Remember to subscribe for free in iTunes by following this link! Since nothing particularly notable is going on in the world of entertainment this week, we decided to record a very, very silly episode of WGTC Radio. This week’s show covers a wide swath of topics, some timely and some completely frivolous. 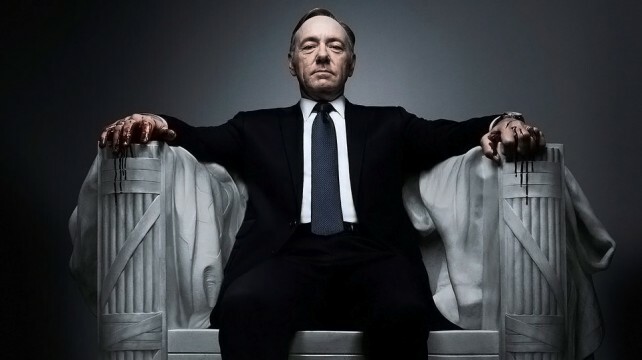 First, Jonathan reviews Netflix’s new original series, House of Cards, and examines this new TV format the company is trying out. Next, Sean and Jonathan talk a little bit about the Final Fantasy games on Play Station Network, before Sean launches into a very long, very angry rant on “Call of Duty: Black Ops Declassified” on the PS Vita. Finally, for our main topic (for lack of a better term), we offer a comedic thought-exercise on hypothetical silly celebrity casting in anime. If we were producing an all-celeb dub of shows like Dragon Ball Z, Yu-Gi-Oh, or One Piece, a la what Disney has done with the Studio Ghibli films, what celebrities would we cast? It’s just for fun, and completely ridiculous, but it makes for an entertaining discussion to round out the episode! If you have questions, comments, or concerns about WGTC Radio, or would like to write in to the podcast to have your questions read on the show, please e-mail jonathan@wegotthiscovered.com. WGTC Radio is a weekly podcast that will post every Monday, and if you subscribe in iTunes, episodes will be delivered automatically and for free as soon as they are released. If you visit We Got This Covered on Mondays, we will also have streaming and downloadable versions of new episodes for your listening pleasure.